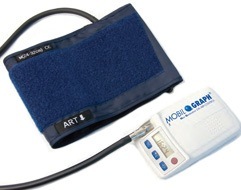 24-hour ambulatory blood pressure control with Mobil-O-Graph® enables a comfortable and unadulterated long-term measurement. Its state-of-the-art design features include a day/night key for individual sleeping time recording. 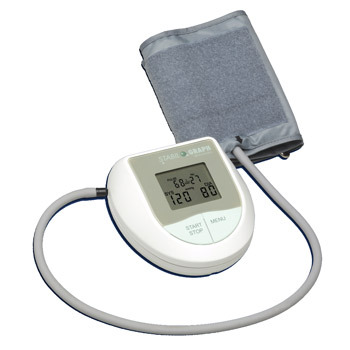 It also provides the function of fourier analysis for the assessment of the early-morning rise in blood pressure. Additionally, it offers auto-feedback logic for a drastically reduced compression load and oscillometric measurement without sensors. Not only that, but it provides the highest wearing comfort through minimal weight of around 240 g including batteries. As for the Stabil-O-Graph, this is a pulse and blood pressure meter with a reminder function (e.g. to take medication). It allows you to experience optimised measuring safety at home. 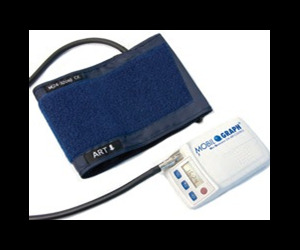 This provides communicative instantaneous transmission of the recorded values to the hypertension management software on the physician's surgery computer by way of infrared transmission. It is an efficient, simple operation that provides a quick objective overview of home monitoring profiles.